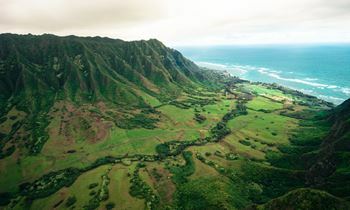 Oahu is the third largest and most populated Hawaiian Island. It is the home of Hawaii’s capital city of Honolulu. 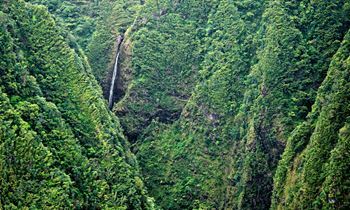 From towering waterfalls to mountains and beautiful coastline, Oahu offers incredible unique sights. 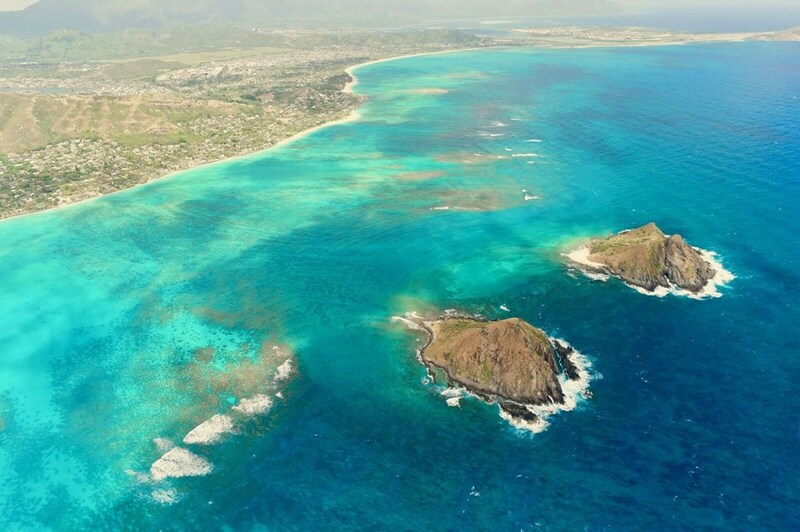 From our base of operations located close to the Honolulu Airport, we offer you a variety of adventure options. All adventures are available doors-on and doors-off. 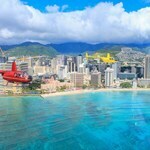 Experience Oahu's ultimate helicopter tour in VIP luxury. 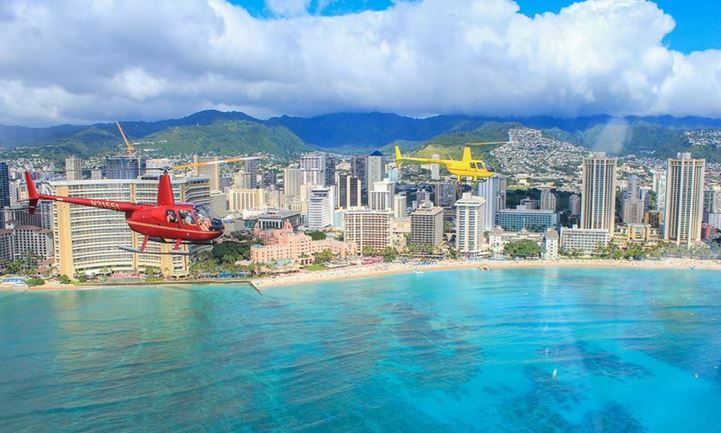 Depart Honolulu airport and begin your helicopter adventure by flying over Waikiki's shoreline, where the modern metropolis of Honolulu meets the white sands of Waikiki's iconic beaches. 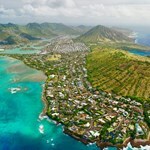 Your tour will continue down the leeward coast to Diamond Head, Koko Head and the historic Makapu'u Point Lighthouse. Continuing north up the windward coast, you will pass over Kailua Beach, the famous landmark Chinaman's Hat and the pristine reef and waters of Kaneohe Bay. The tour will continue north to Jurassic Valley and Sacred Falls. 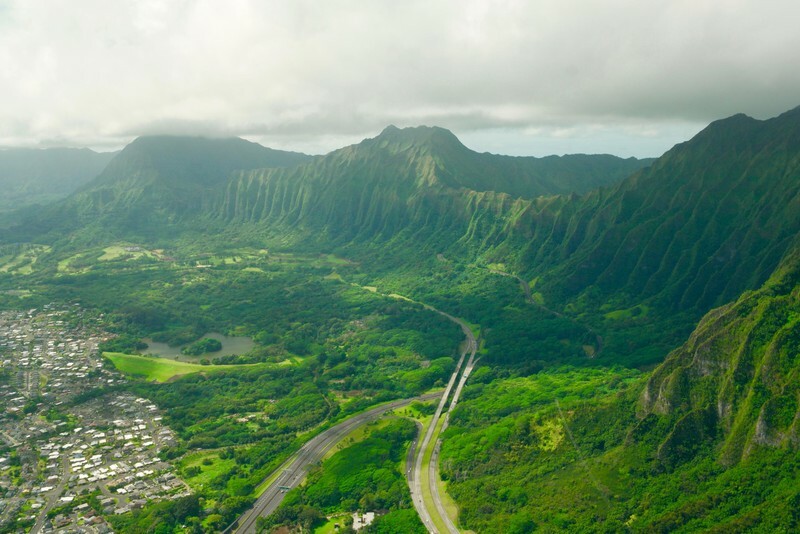 Breathtaking views of Oahu's famous North Shore will follow. Views of Banzai Pipeline and Waimea Bay, home of Oahu's legendary monster waves, are spectacular. 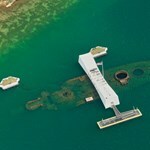 Your tour will close with a slow flyover of Pearl Harbor and the USS Arizona. 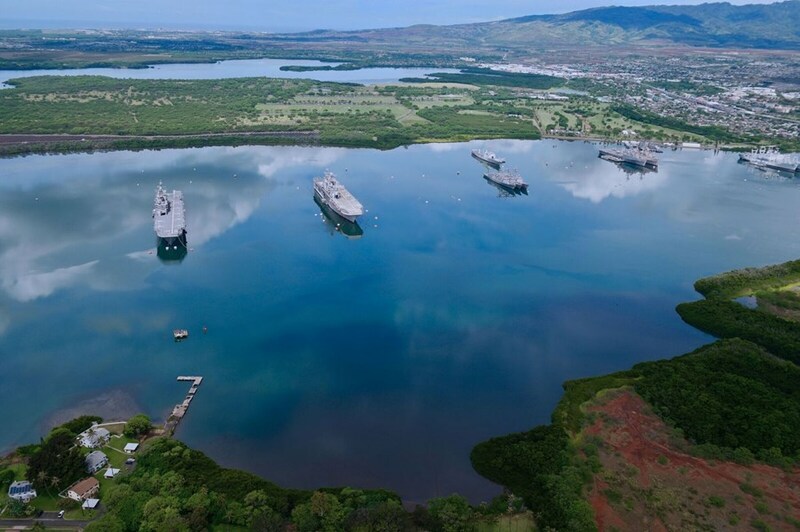 Experience all of Oahu’s major sites in 60 minutes of VIP Luxury. 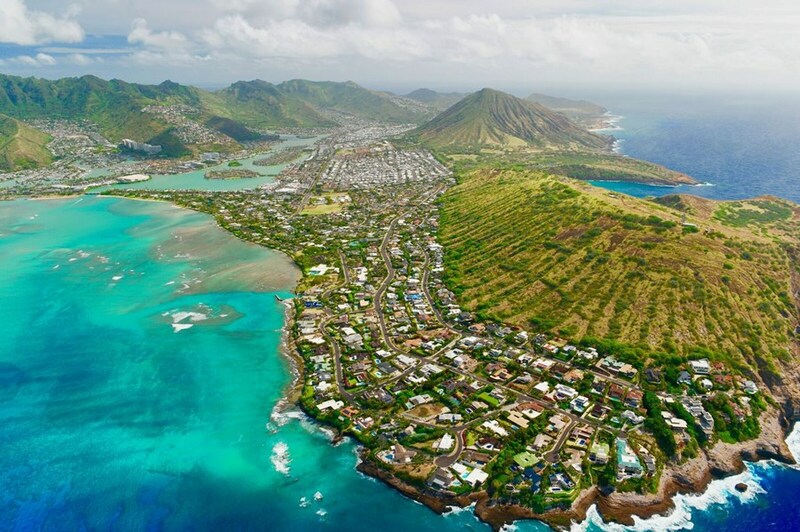 Experience the magic of Southern Oahu. 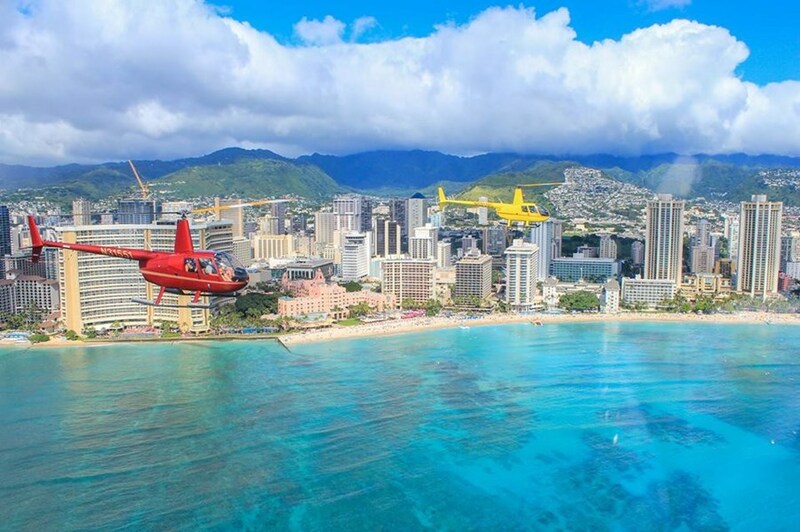 Our VIP Private Helicopter Tour departs from Honolulu Airport and offers breathtaking views of the Honolulu skyline, the iconic Waikiki shoreline, Koko Head, Makapu'u Point Lighthouse, Kailua Beach, Chinaman's Hat, and the pristine coral reef and waters of Kaneohe Bay. We then move on to Jurassic Valley, Sacred Falls, and the panoramic Dole Plantation. 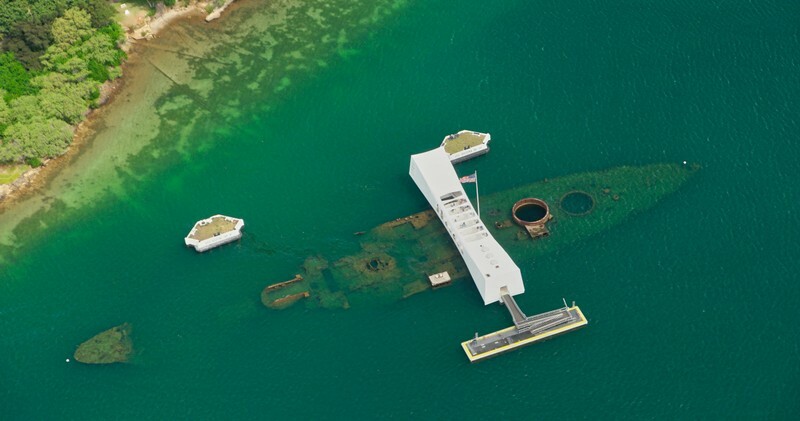 Your tour will close with a slow flyover of Pearl Harbor and the USS Arizona. 45 minutes of VIP Luxury. You are most welcome to fly with us through the 7th month of your pregnancy, providing you feel comfortable with the motion of the helicopter in the air, as well as wearing a regular (3-point) seatbelt across your body. Total weight per seat cannot exceed 275lbs. Total passenger weight not to exceed 600lbs. Children 6 and over recommended with a weight of at least 30 lbs recommended. Cancellations or delays to the flight at pilot's discretion for safety reasons which may include inclement weather. Will definitely do it again. Thank you for an amazing day. 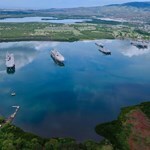 My wife and I were totally amazed with our personal tour of O'ahu, from our free courtesy hotel pick , to the meet n greet, these guys were awesome, extremely professional and extremely welcoming, I chose the doors off tour, but my wife opted to sit up front with the door on which gave her an unparalleled view, she was in awe at the view, from the beaches at Waikiki to the beautiful (secret) waterfall. 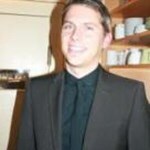 ... moreOur pilot provided us with a running commentary of the area and didn't miss a beat, he was fantastic. 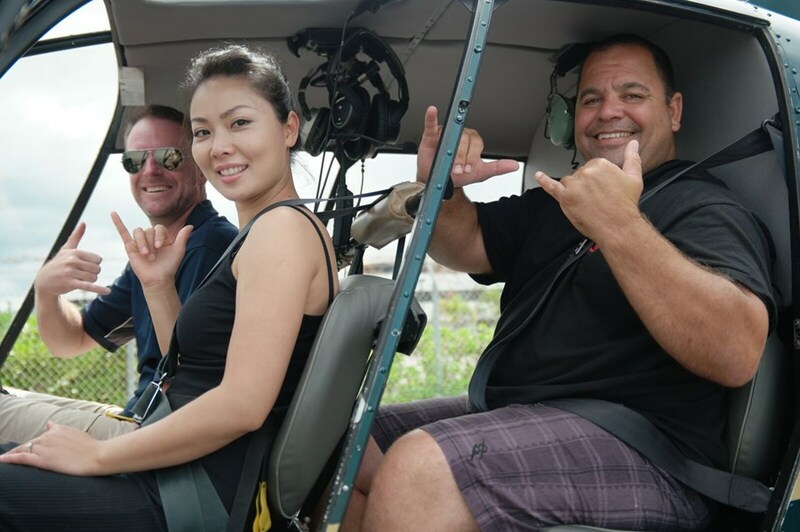 We can't wait to visit Oahu again and fly with these guys, I would highly recommend Mauna Loa tours of Oahu to everyone who visit's the island, the personal tour allowed my wife and I the experience of a very special trip, to be better than we could have ever imagined. Our whole experience was superb!! Awesome flight with absolutely incredible scenery. I loved that my husband and I were the only passengers - which was a really personal unique experience that was very special. The pilot and staff exceeded our expectations which made the flight an incredibly rewarding and memorable experience! Complementary pick-up and drop off was included and was very interesting. 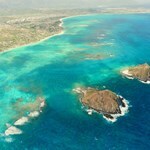 ... moreThis experience was truly the highlight of our holiday on Oahu! Highly recommended! Event: My girlfriend's 30th birthday Tour: Private, doors-off This is one of the most memorable experiences we have had on our Hawai'i trip. Beautiful sights, although it was partly cloudy, and of course the exhilarating experience of flying in an open helicopter! Booking was a breeze, and the pilot Marc Oliver made the private-tour experience complete with his professional yet down to earth attitude, ... moreopenness and subtle humor, which went very well with us! He even drove us to the bus in his private car after the trip, while chatting with us about everything from Hawaii's energy politics to pilot training. Above and beyond! In short we had an extraordinary experience, made perfect not only by the flight and incredible sights in themselves, but also by the great treatment by our pilot. My husband & I loved our private tour of the island! 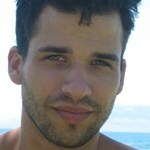 Our pilot Rafael was fantastic, and we thoroughly enjoyed our doors-off experience. We were really cold because it was an extremely windy day, but that did not take away from the incredible experience. We could have taken a cheaper ride, but we both agreed it was worth the extra money to have a private tour. The "doors off" helicopter adventure was awesome! Very professional and our pilot Bruno was great. Had the best time and loved flying with the doors off. Highly recommend!